Nearly 100,000 undocumented students graduate from U.S. high schools every year without access to DACA protections, resulting in limited job opportunities and access to higher education, according to an analysis released Wednesday by the Migration Policy Institute. MPI, a nonpartisan think tank in Washington, D.C., pulled from census data for its report. Congress has yet to act on bills that would offer a pathway to legal status for those graduates despite efforts by lawmakers dating back to 2001. And under President Donald Trump, no new applications are being accepted for DACA, which allows college and work opportunities for children without fear of deportation. Former President Barack Obama launched the Deferred Action for Childhood Arrivals program in 2012, and as of January, almost 700,000 young immigrants had benefited from it. In 2017, the Trump administration tried to end DACA but was stopped by federal courts. Current recipients can renew their applications every two years. Of the 98,000 high school graduates, 44% of them reside in California and Texas. The number of graduates rose from 65,000 in 2003. The Trump administration wants to crack down on illegal immigrants using government services by strengthening checks around federally subsidized housing. The Washington Post reported Thursday the Department of Housing and Urban Development will beef up its verification process for people who request housing help. 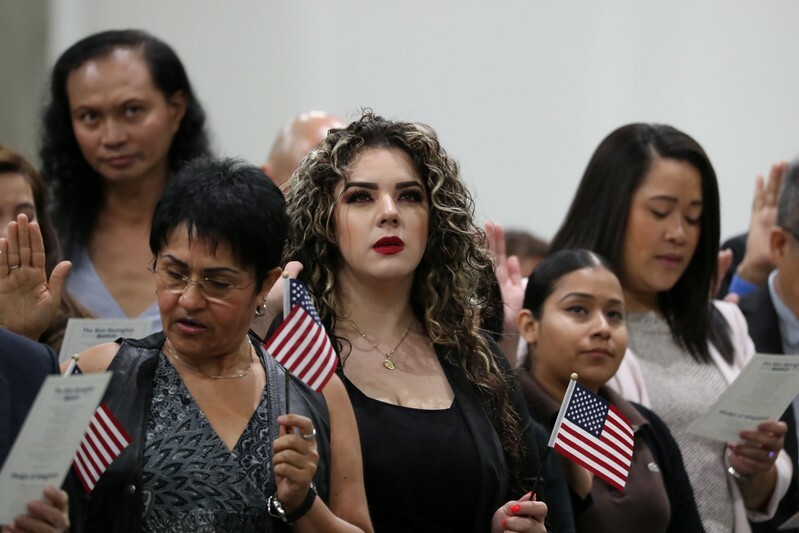 Illegal aliens are not eligible to receive subsidies for federal housing programs, but families comprised of both illegal and legal immigrants are eligible — as long as someone with a legal status serves as the head of household. HUD believes there are roughly 32,000 households illegally taking advantage of federal housing subsidies, the Post reported. The Trump administration is trying to close loopholes and crack down on illegal immigration, particularly as several caravans from Central America make the long journey from their home countries to the U.S. and ask for asylum. The expansion is expected to cost “several million dollars,” according to Cuomo, who said it was a small price to honor the sacrifice of fallen service members and their families. “We owe them everything, because they pay the price for our freedom,” Cuomo said. Trump tweeted his way into the debate Friday.